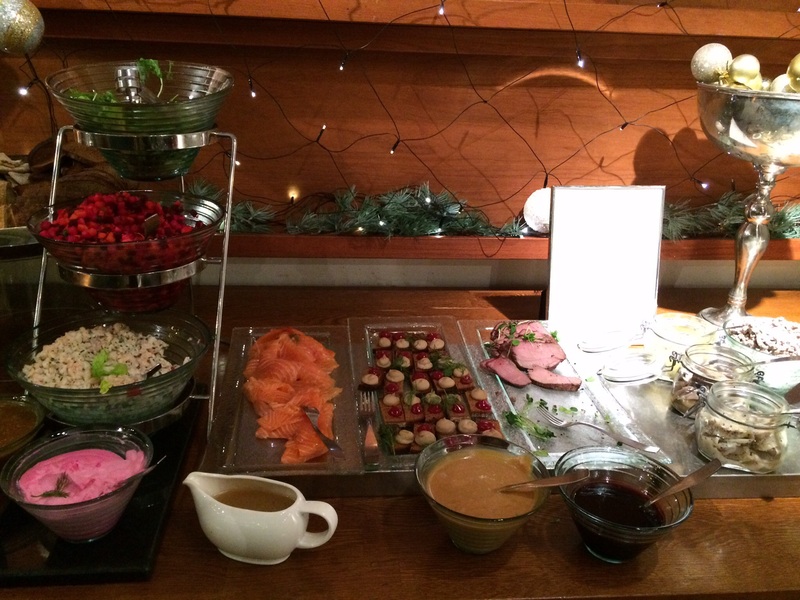 Restaurant review: Havis – Christmas Eve buffet 2014 + MERRY CHRISTMAS! 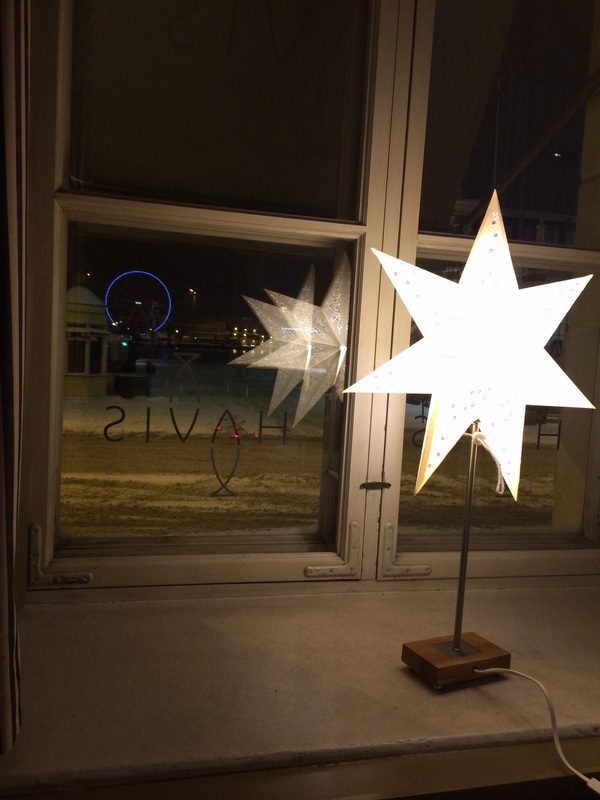 Helsinki closes on Christmas Eve afternoon. Only few restaurants are open and most of them are hotel restaurants like Havis, which serves hotel Haven guests. 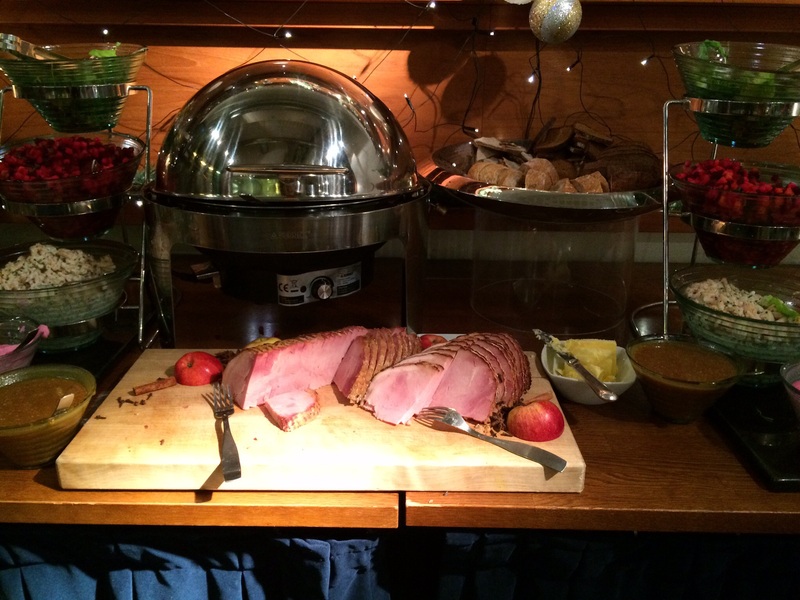 Havis Christmas Eve buffet menu includes traditional Finnish Christmas dishes, even Christmas ham is available. Turkey has taken some place from ham, but not much. 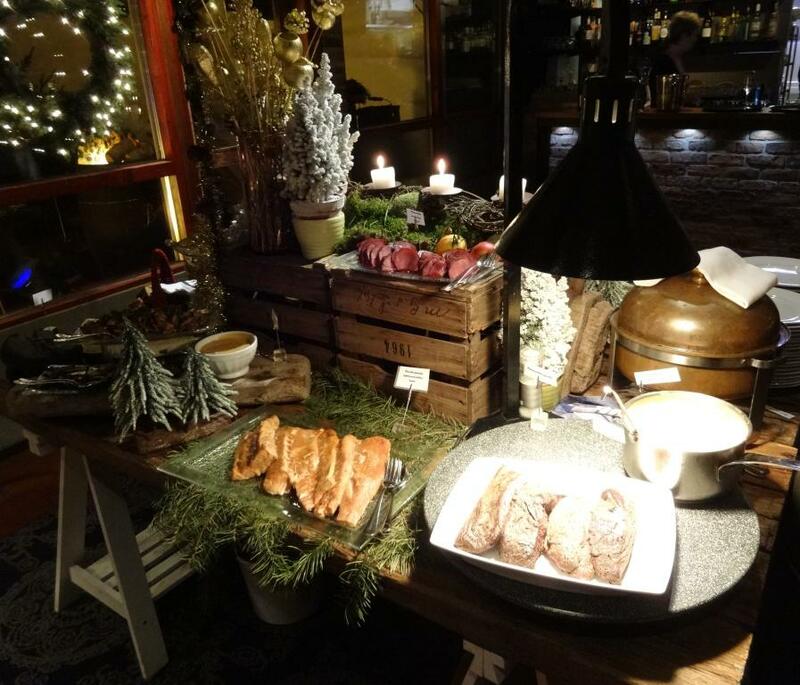 Herrings, roes and salted salmon or salted whitefish are must on Finnish Christmas table. Buffet was not as generous as at restaurant Pirate (see previous post). 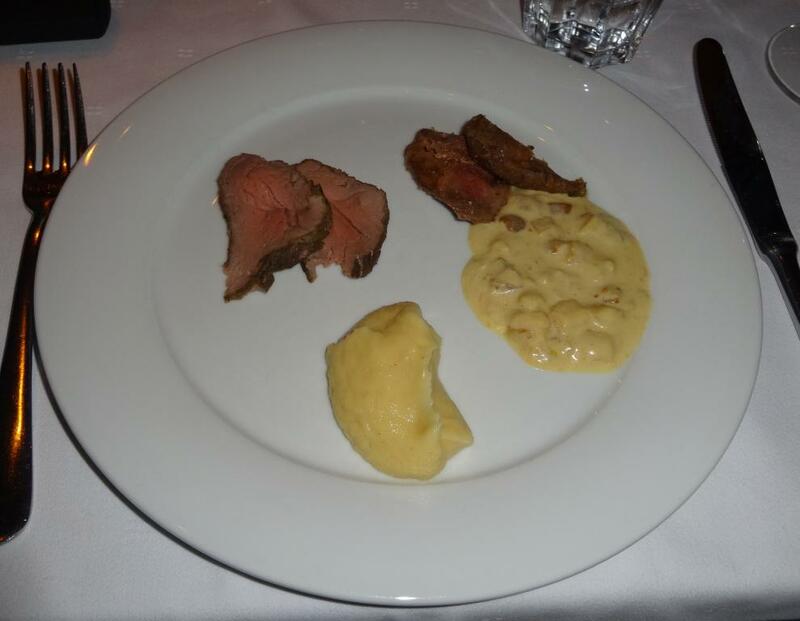 However, each dish was prepared carefully and they were tasty. Even Christmas ham tasted better than usually. Ham was partly smoked which made the taste delicious. 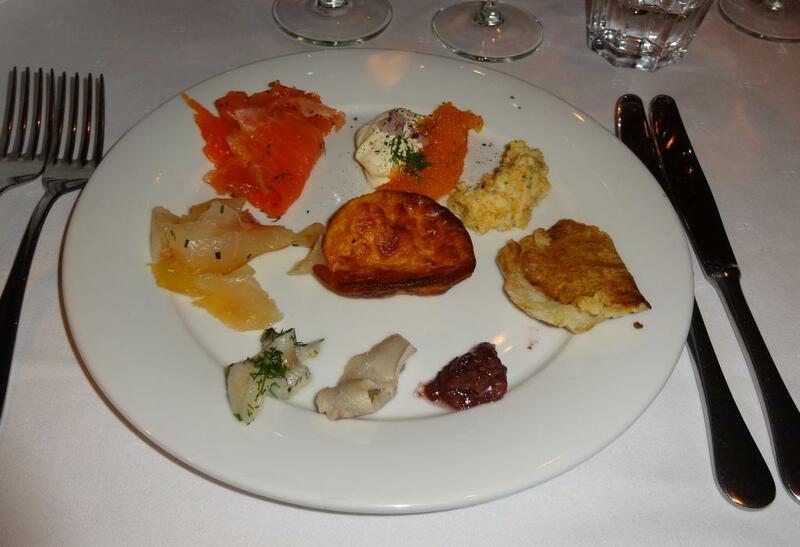 Roe and salted salmon with side dishes were as they should be. Food is prepared at open kitchen which is located in dining room Kitchen (of course). Main courses were served to the tables. 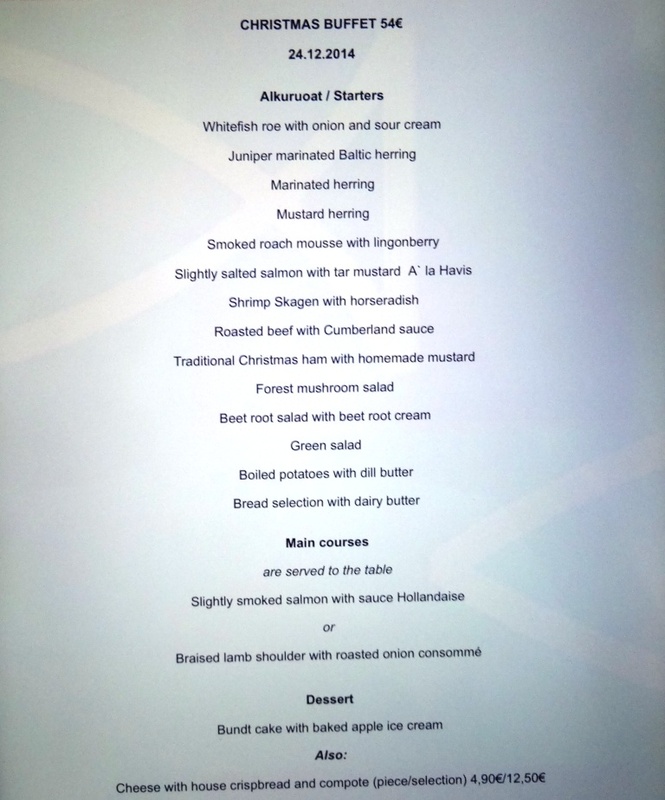 You could choose from Smoked salmon or Braised lamb shoulder. 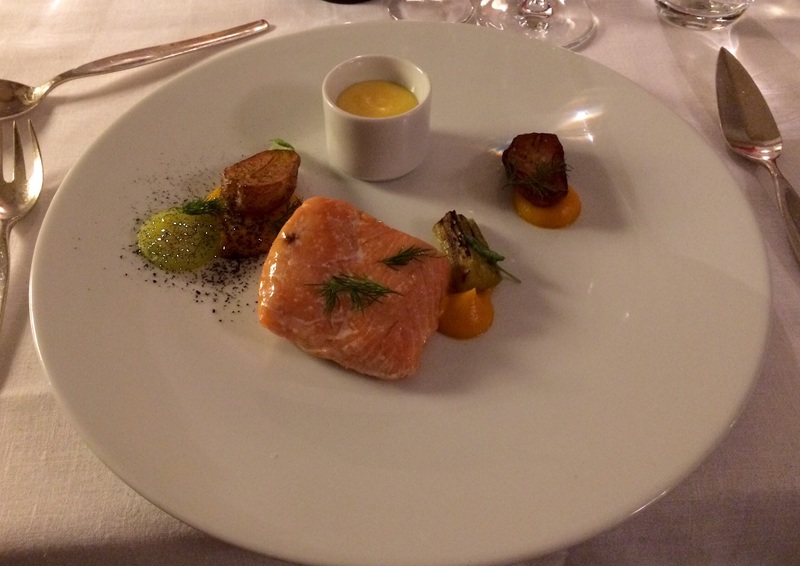 We ordered salmon which was one of the best salmon dishes ever eaten. Cooking time for fish was perfect and side dishes, carrot puree, small roasted potatoes and Hollandaise sauce paired brilliantly with fish. And dessert Bundt cake with ice-cream was scrumptious. Cake was spiced with Christmas and it matched brilliantly with apple ice-cream. 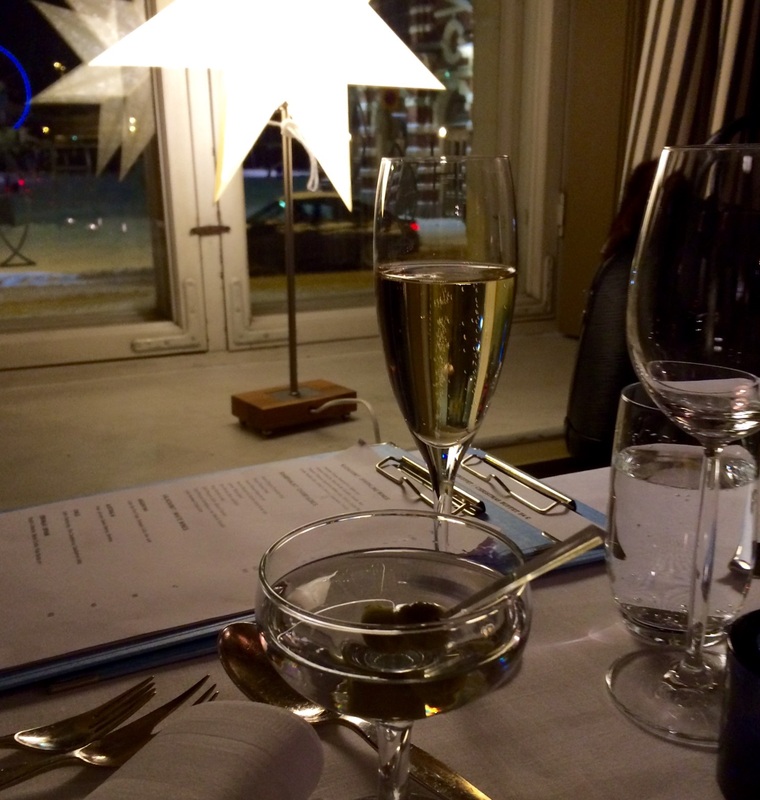 Restaurant Havis is one of our favourite restaurants. We usually prefer to dine at dining room Havis, because it mirrors best the origins of Havis as you can see in the picture on the wall. Restaurant was almost full all the time and most diners were hotel guests. And of course we always ask for window table, which allows us to observe bustle at Market Square and near Old Market Hall. But on Christmas Eve no one rushes anymore anywhere. 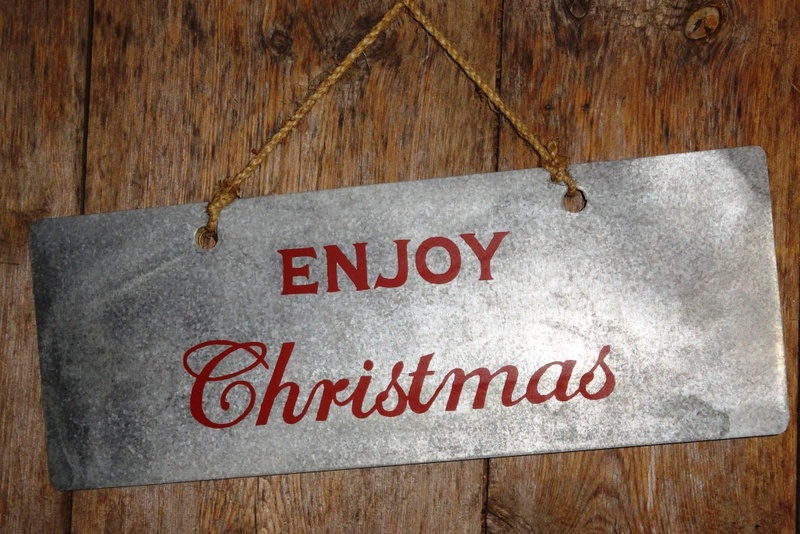 It is time for relaxing and enjoying good food and company. 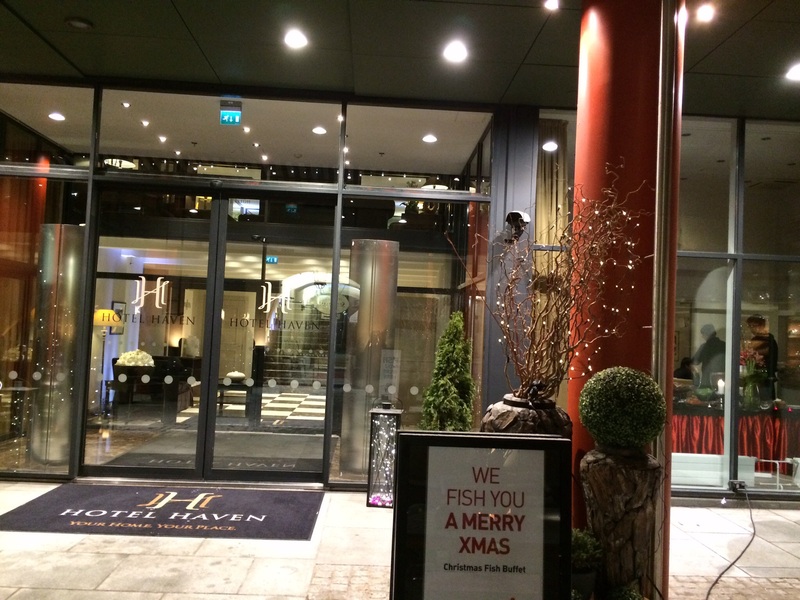 You should visit hotel Haven bar at the 2nd floor. It is worth of seeing not only because of wide selection of drinks. It is decorated as member of Small Luxury hotels of the World should be. Food was excellent due to main course and dessert. Because Havis is open also on Christmas time it earns high grade. 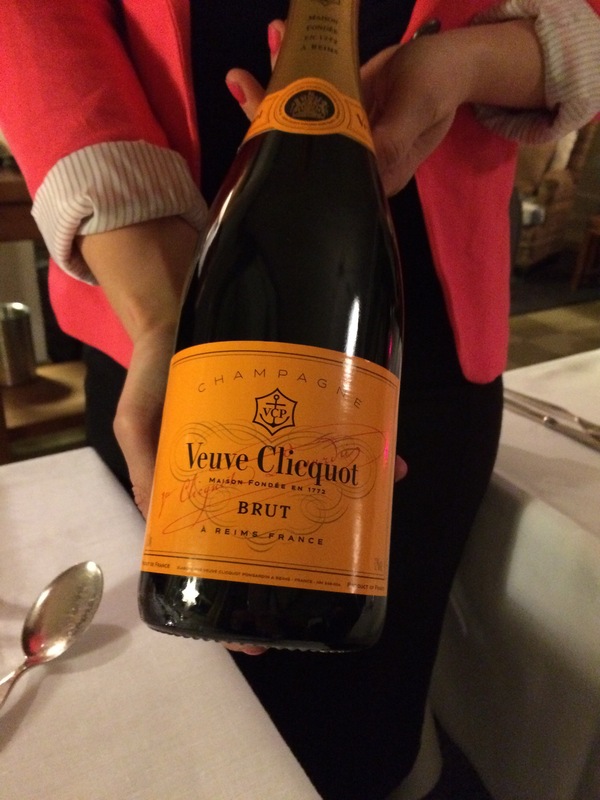 We had Veuve Clicquot and Vodka Martinis for aperitif. Best way to start Christmas dinner as you had already had some mulled wine earlier. CHRISTMAS EVE MENU | Menu. 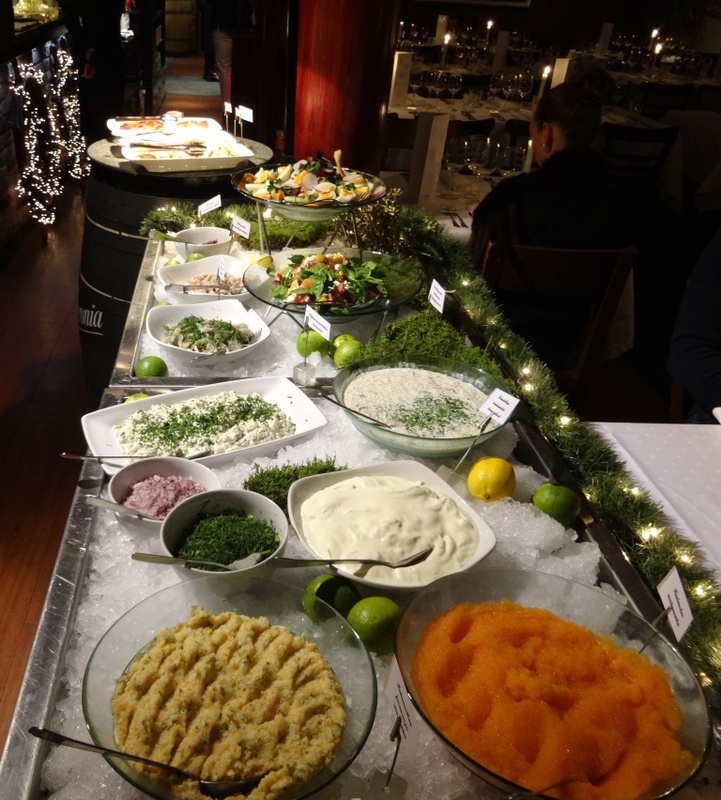 Traditional Finnish Christmas buffet usually includes freshly salted fishes, roes, Christmas ham, casseroles and rosolli (beetroot, pickled cucumber, apple, carrot and whipped cream). 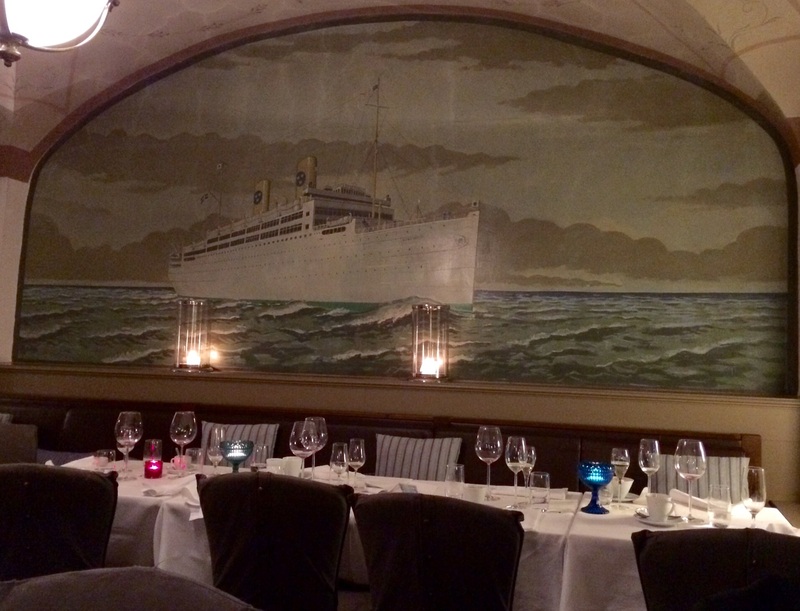 Restaurant Pirate Helsinki did not serve casseroles but instead of that many rare delicacy traditional dishes. 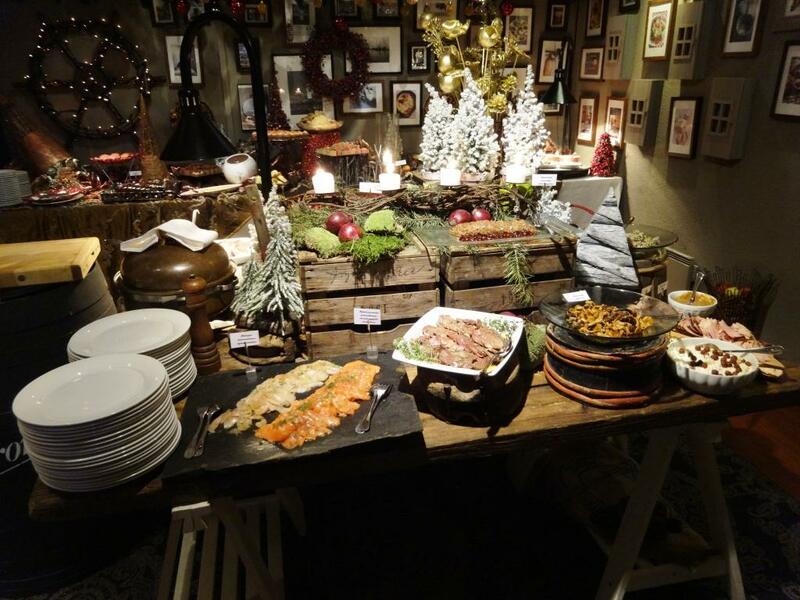 Pirate Helsinki served 5th time Christmas buffet in cozy and vivacious athmosphere. 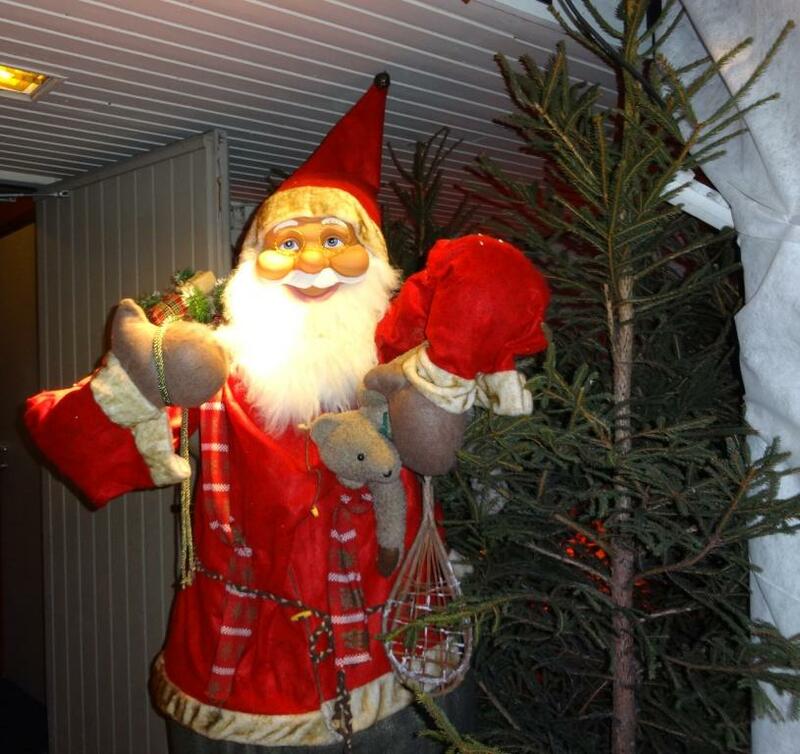 Silent Santa Claus welcomed guests next to the entrance. 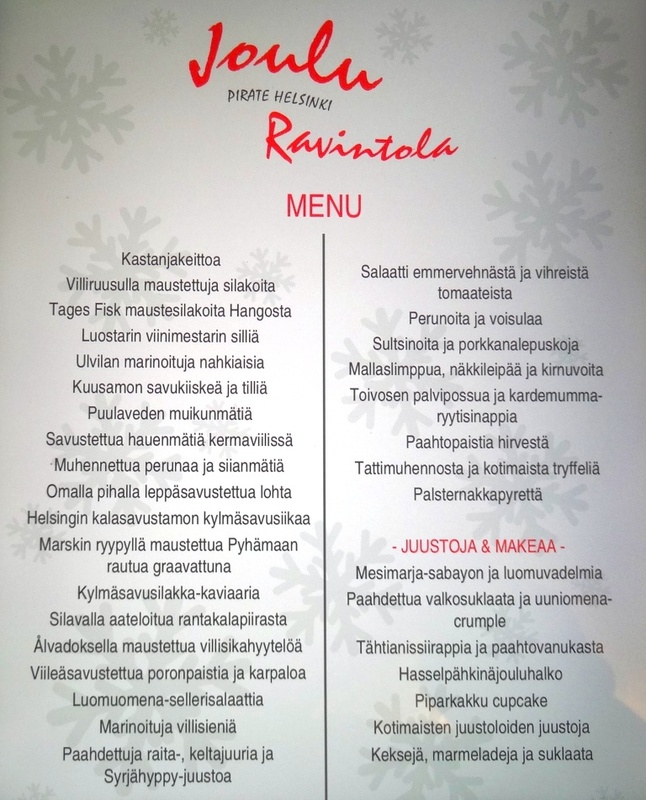 Menu is unfortunately only in Finnish but it includes for instance herrings, roes, smoked fishes, game dishes and different type of roots. 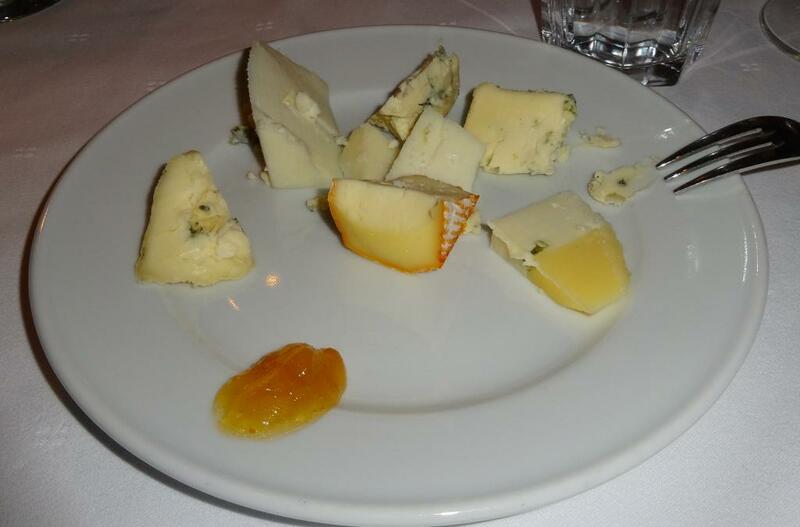 For dessert you can choose Finnish cheeses and sweet desserts. 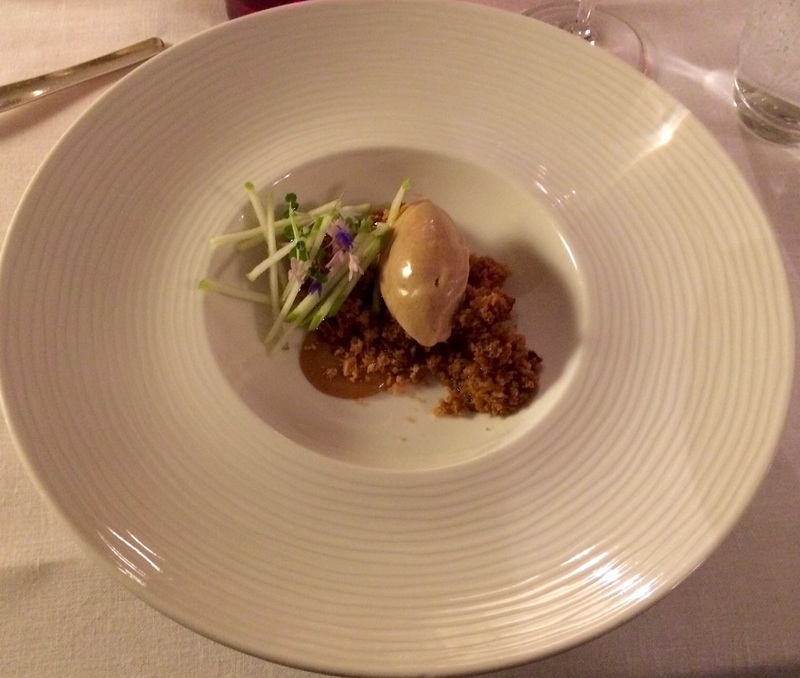 Only dish served to the table, first on the menu, was chestnut soup, which was delicious. 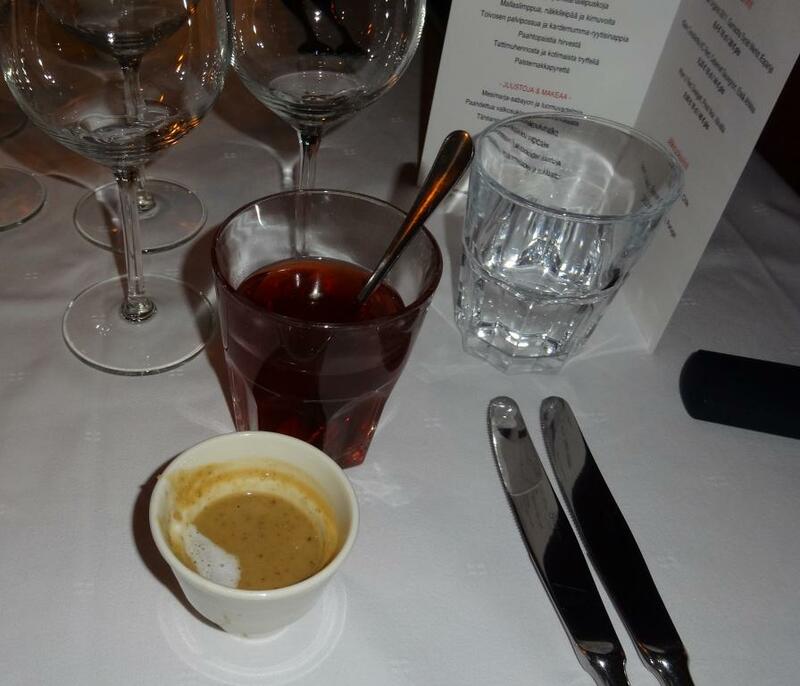 Mulled wine, however was not the best one tasted, as it was partly based on Wana Tallin liqueur. 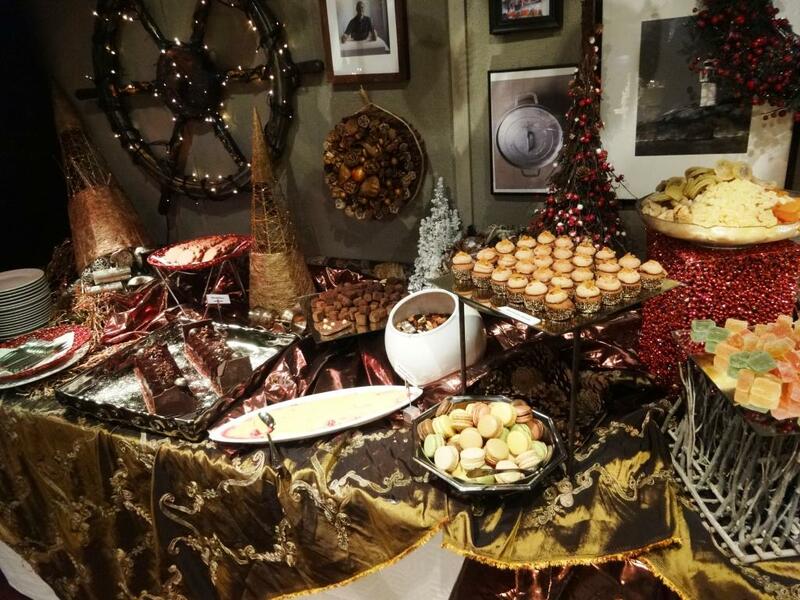 All other foods and dishes were on the buffet tables. Because of the wide selection of dishes available, I am not going to bore you by writing detailed description and review of each piece of food tasted. Instead, picture is worth of a thousand words. 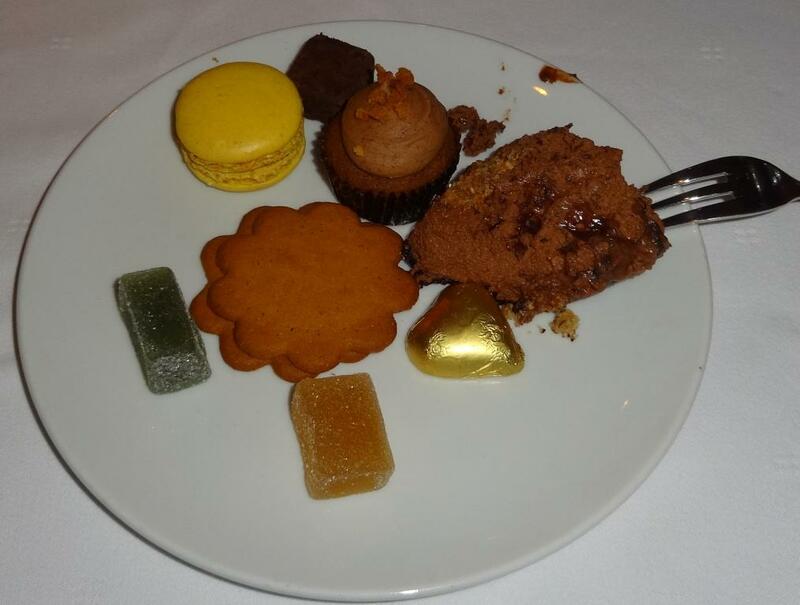 Buffets can be insidious, you can eat too much and you notice it only after you have finished dinner. But if you decide just to taste small pieces of each food, then you can survive. 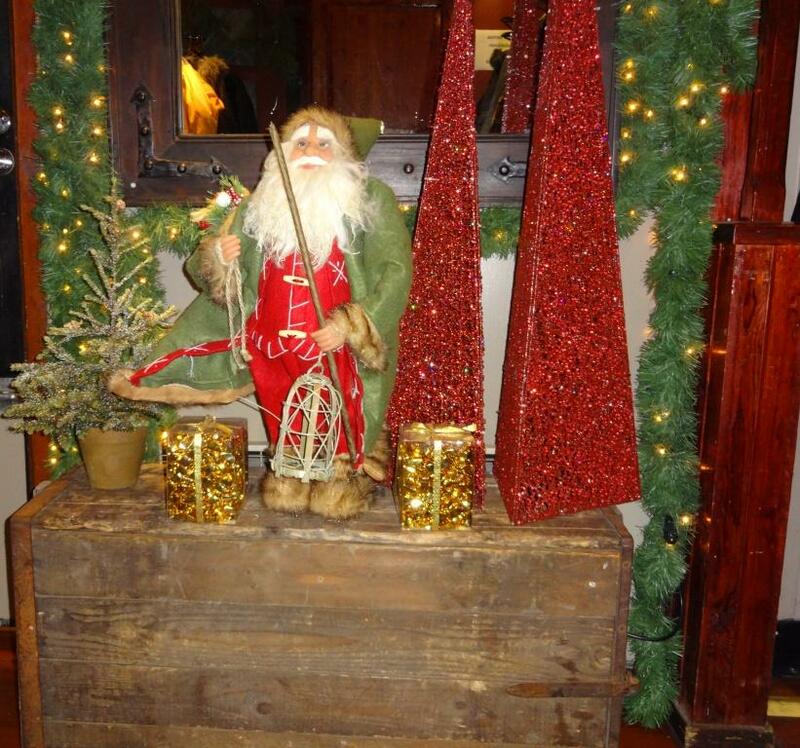 Pirate manages well in serving Christmas buffet dinner. In the summer time going is more simple but as relaxed. 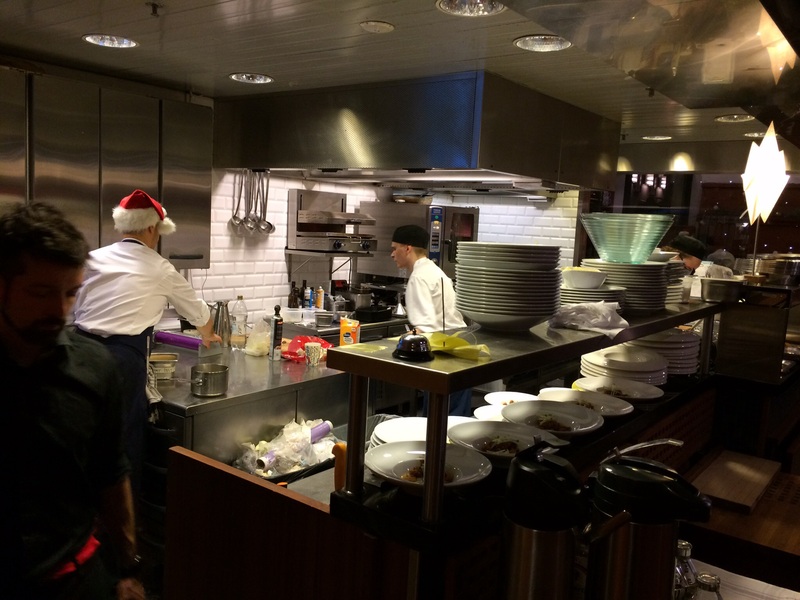 Chef Markus Maulavirta was helping in the kitchen which could be seen in the high level of buffet. One + more for the overall grade if wine list would have been as luxorious as buffet. Three white and red wines do not necessarily pair with all available savory foods.